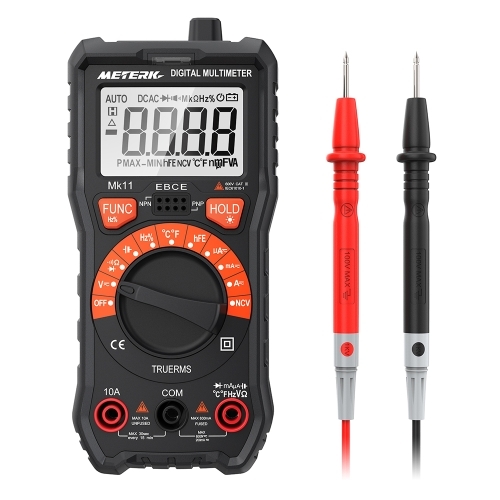 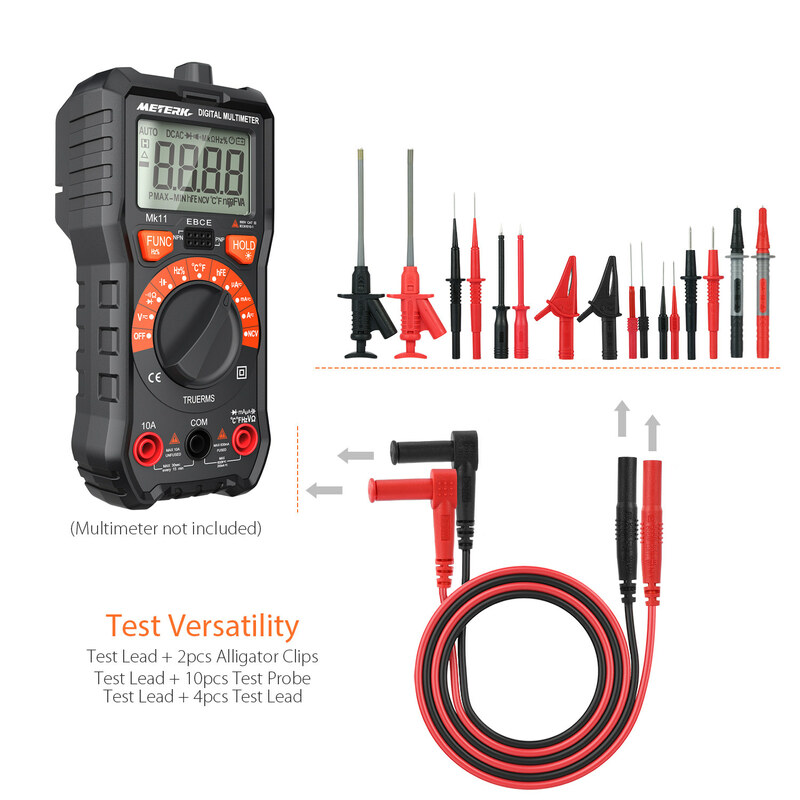 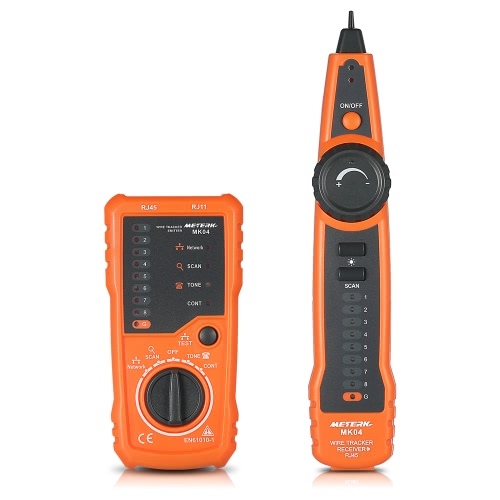 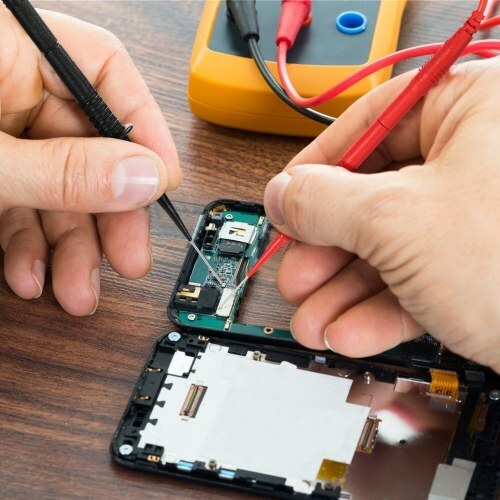 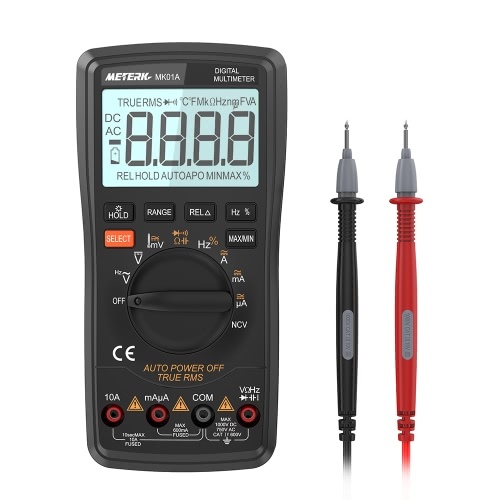 Have you lost one of those invaluable test leads that came with your digital multimeter? 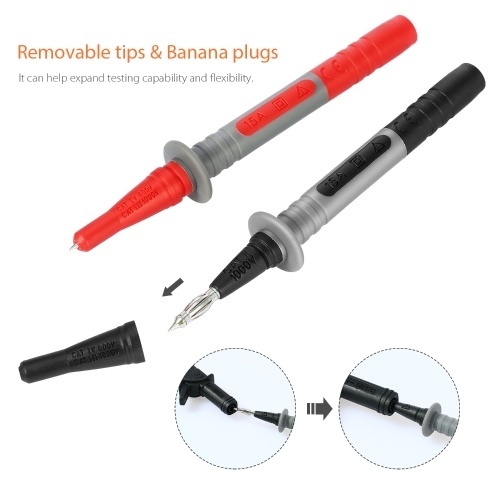 Or you just want some different tips or other accessories? 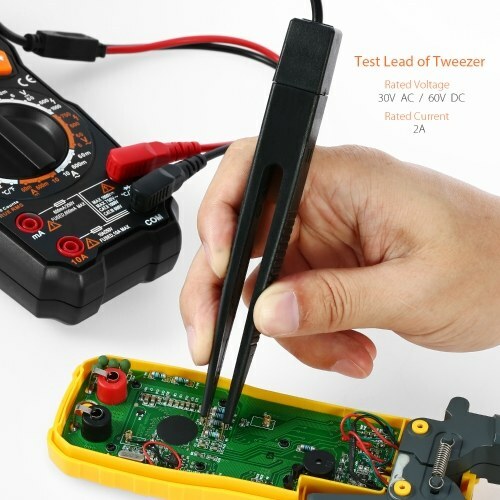 Try our Meterk Electronic Test Lead Kits, these multimeter test leads set are right for you. 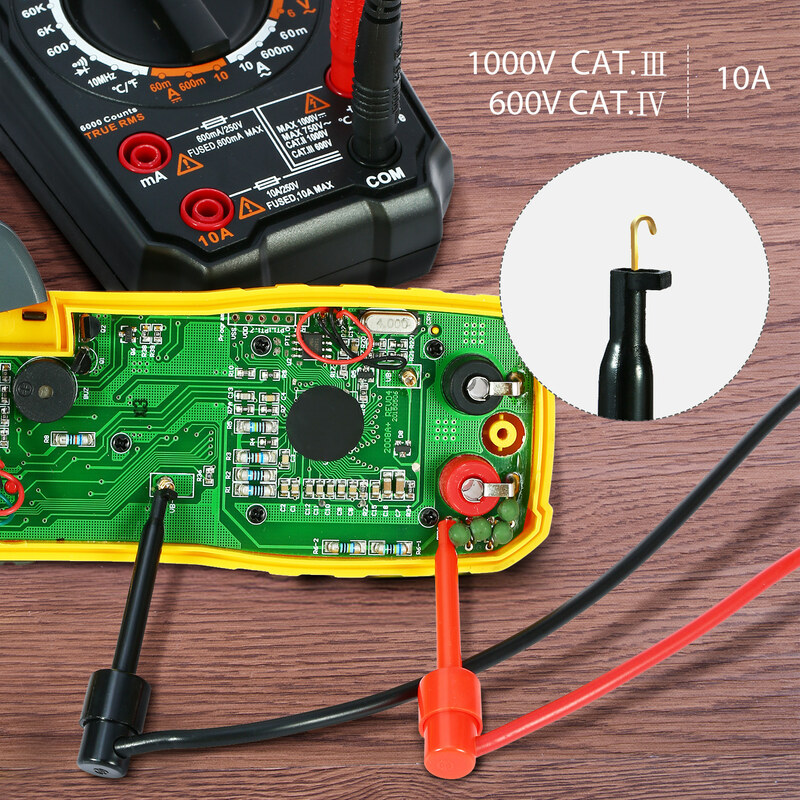 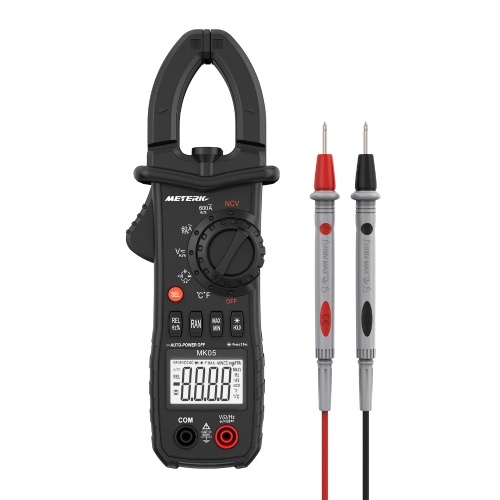 Compatible with Multimeter - They are designed for use with any multimeter, clamp meter, test instrument and so on. 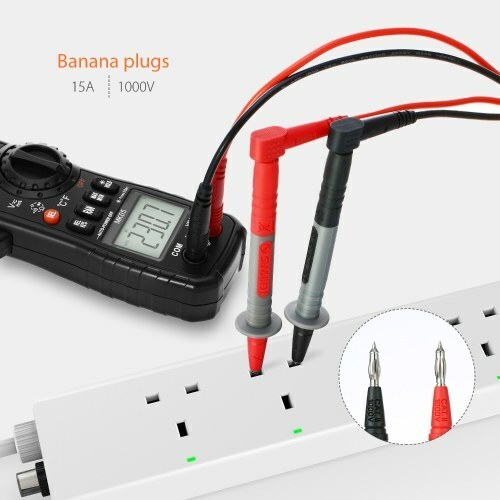 Removable tips, banana plugs, alligator clips and spade terminal can help expand testing capability and flexibility. Versatile Testing - Multi-Purpose testing leads, double insulation PVC with standard diameter's banana plug. 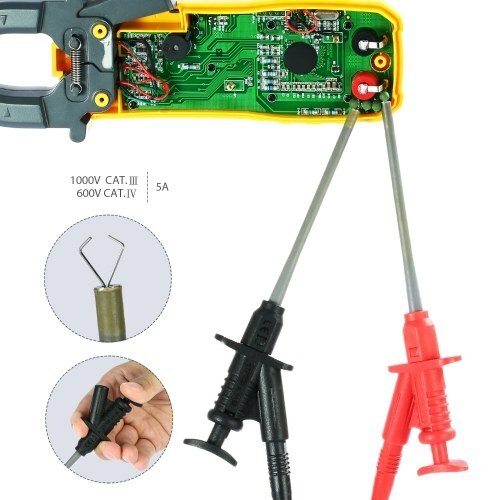 21pcs set includes 12pcs replaceable probe tips and other accessories for different electrical work and multi-use. 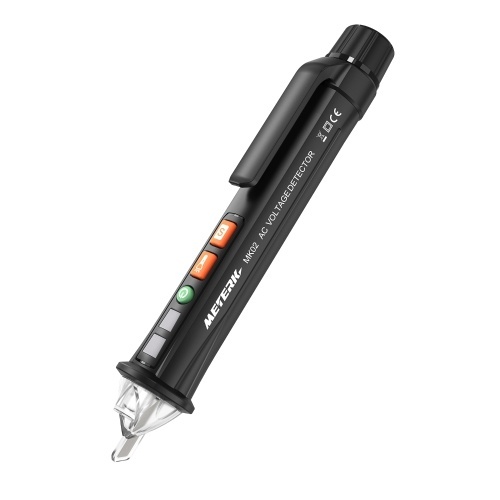 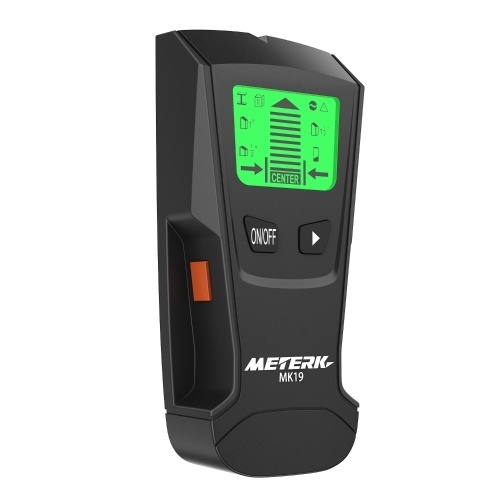 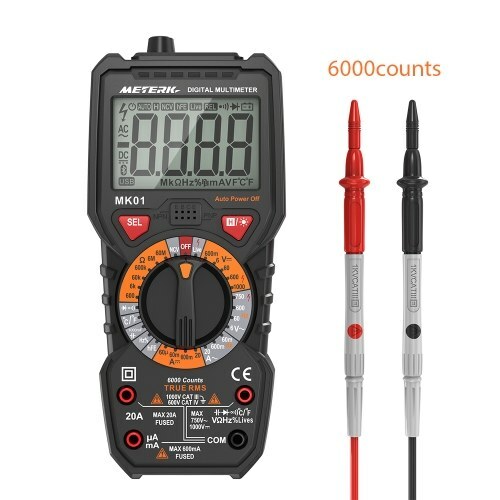 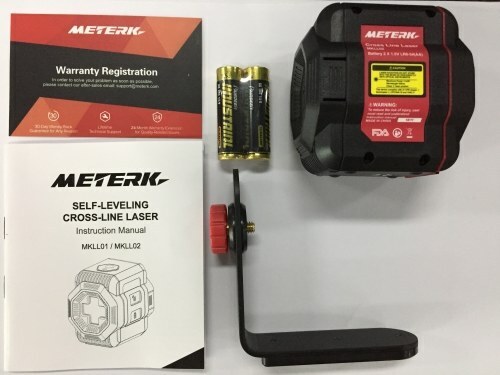 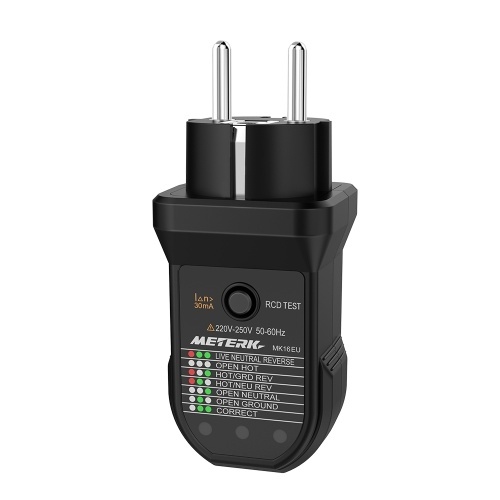 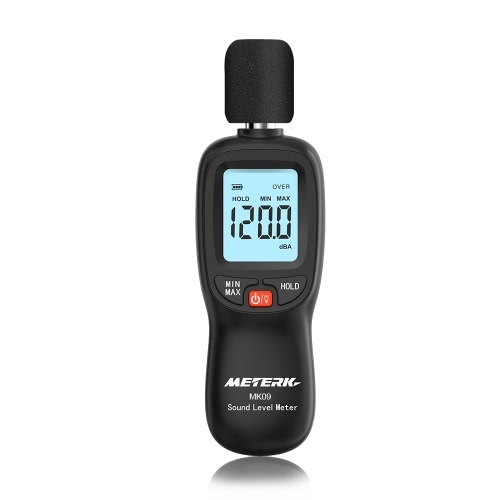 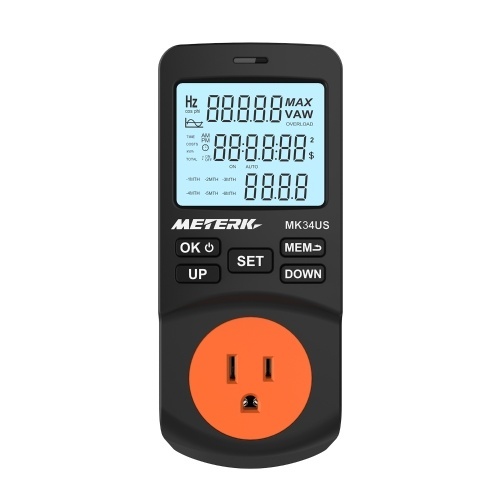 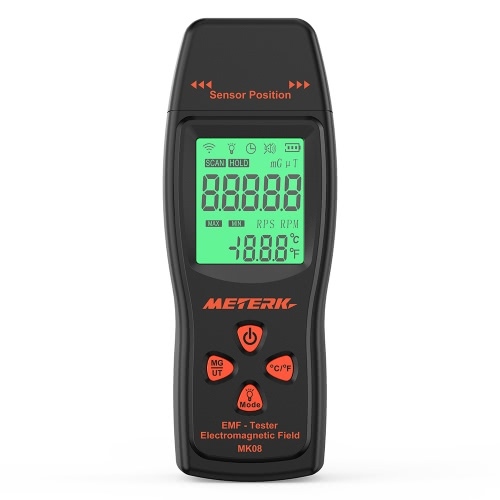 Safe and Accurate Test - Meterk test leads set provides safe and accurate test results on electrical power measurements. Rated CAT III 1000V, 32A. 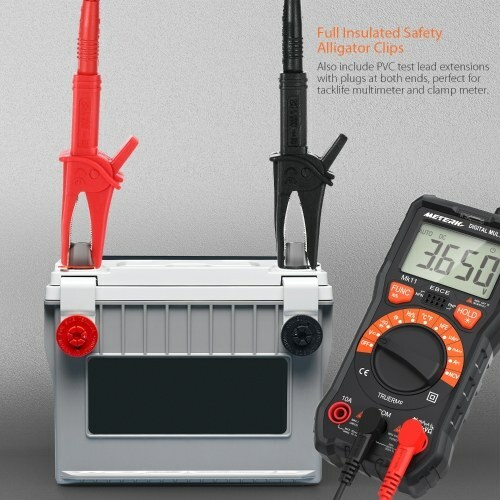 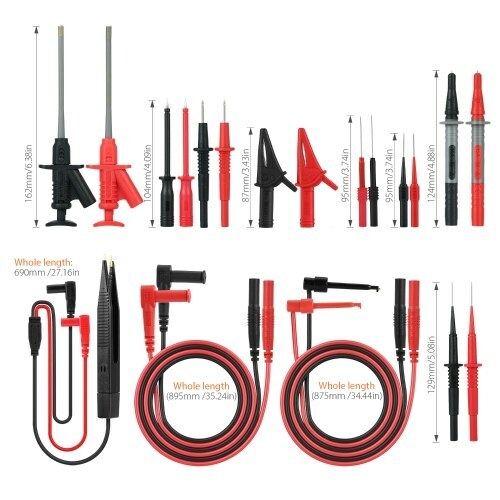 Full Insulated Safety Alligator Clips - Also include PVC test lead extensions with plugs at both ends, 4mm flexible PVC test leads, 0.7mm & 1mm sharpest test probe hook clip, perfect for tack life multimeter and a clamp meter. Soft & Comfortable Hand Grips - The plug of the wire are equipped with protective cover to prevent damage to the teat lead plug. 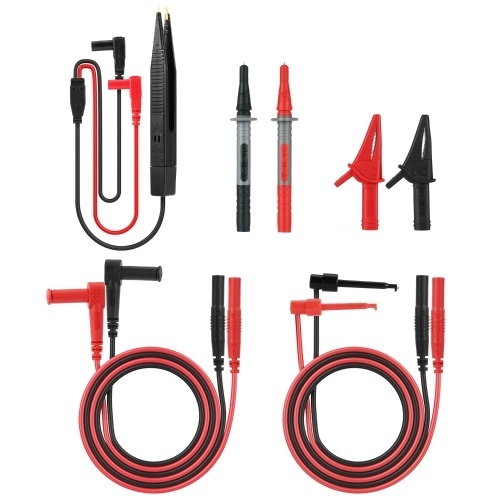 Heat-resistant and cold-resistant test probes are silicone insulated and provides comfort grip.